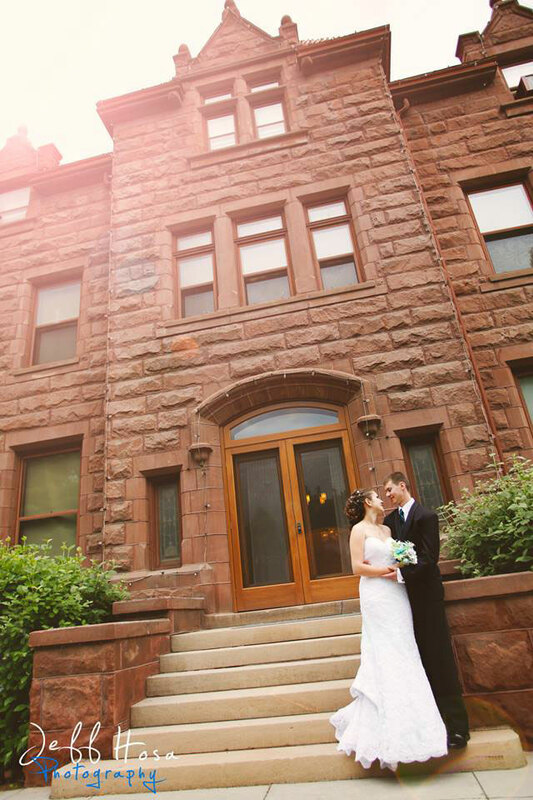 From elegant weddings to private gatherings, the Moss Mansion is a remarkable venue for special occasions. 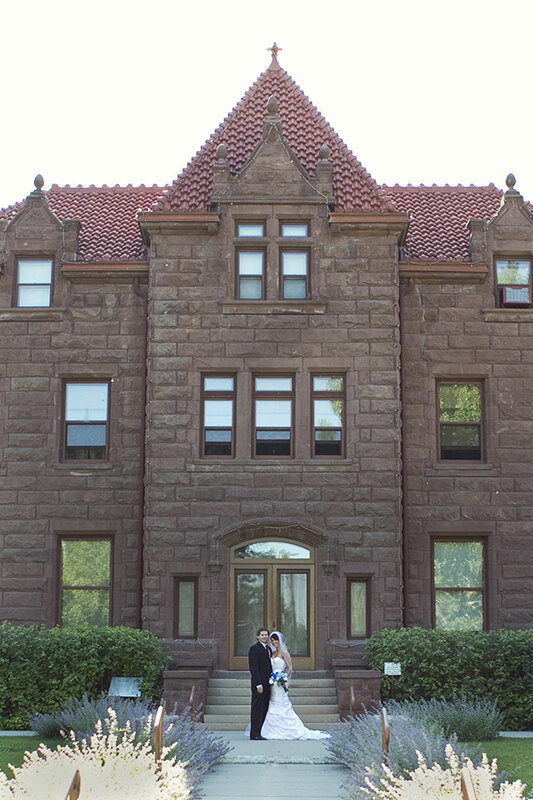 Listed in the National Registry of Historic Homes, this 1903 mansion is perfect for couples looking for a romantic setting with an historic twist. 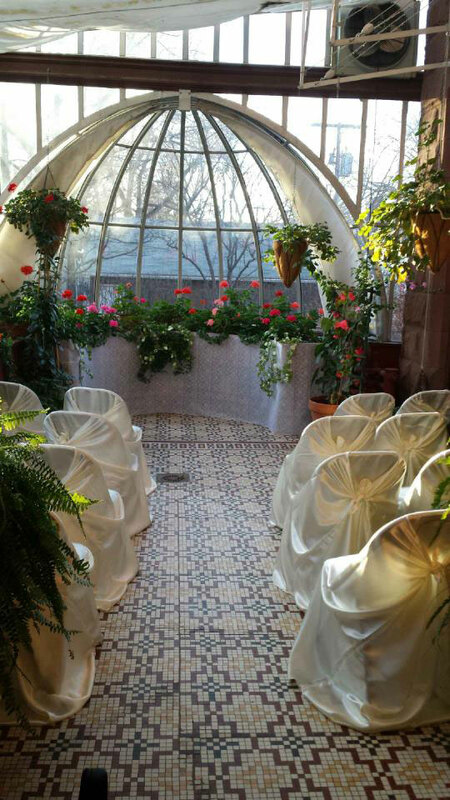 The Moss Mansion showcases a variety of unique spaces for your perfect wedding day. 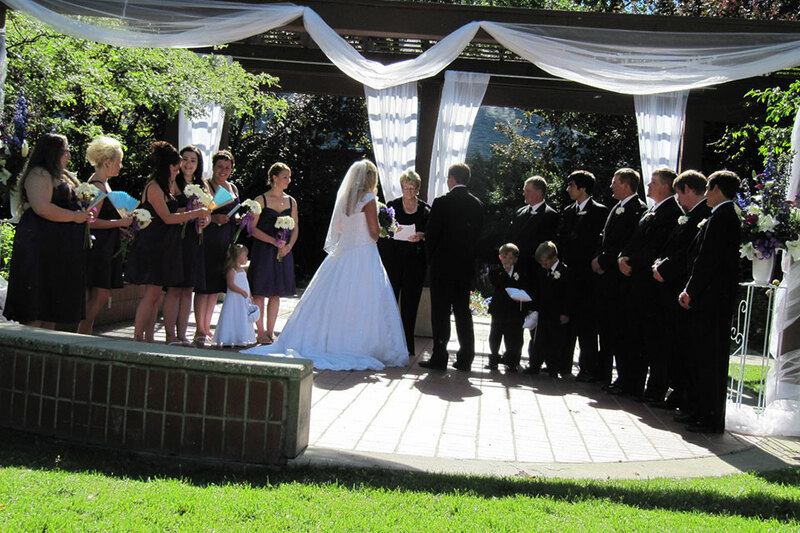 Exchange vows in one of three lush gardens or inside the mansion surrounded by elegance and luxury. 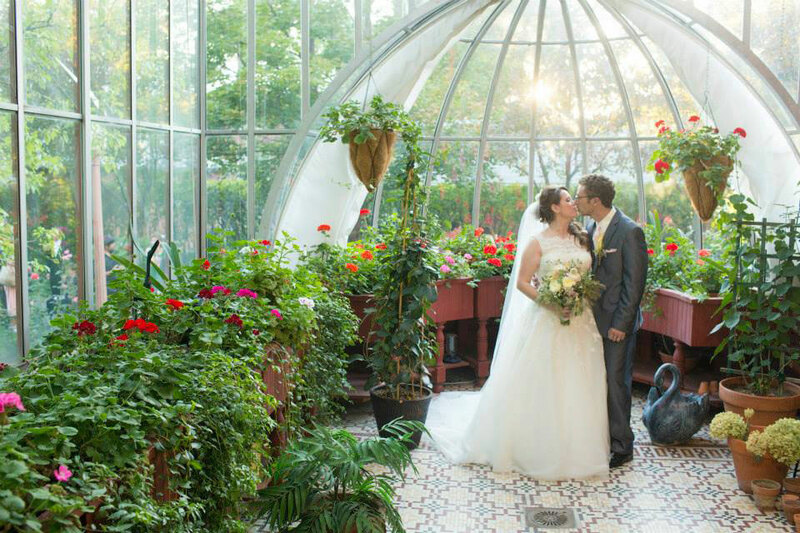 Guests enjoy a one-of-a-kind wedding experience as they relax on the picturesque grounds or enjoy private guided tours of the mansion and the museum’s collections. 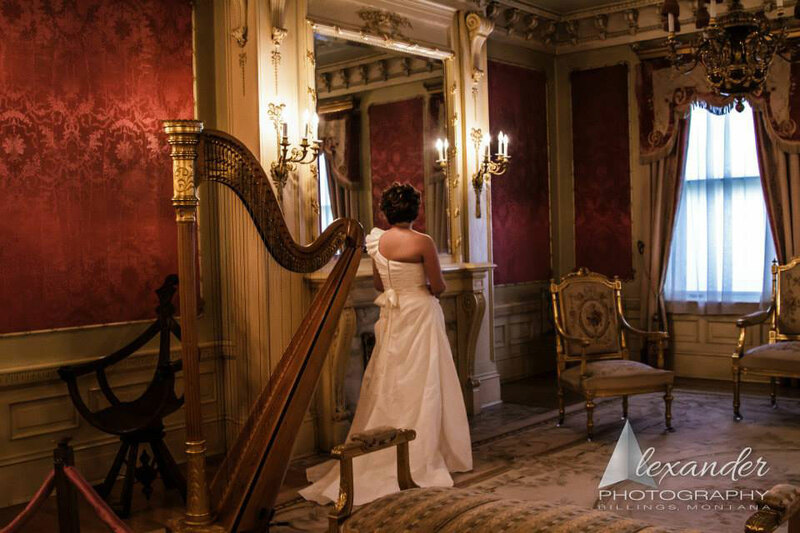 From the grand staircase to the elaborate French Parlor inspired by Marie Antoinette, the Moss Mansion offers specially selected and unforgettable backdrops for wedding portraits. 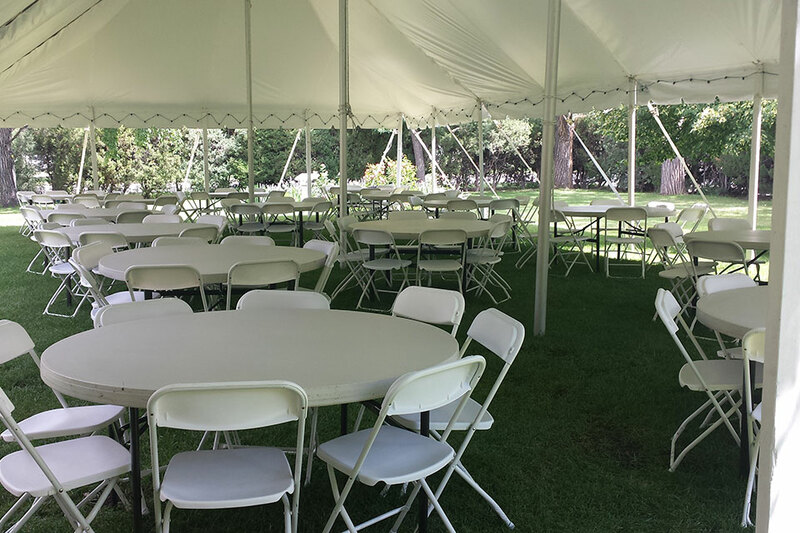 Outdoor receptions, dining and dancing can be held beneath the stars or under the vaulted ceilings of a spacious peaked tent. No two events are the same at the Moss Mansion. 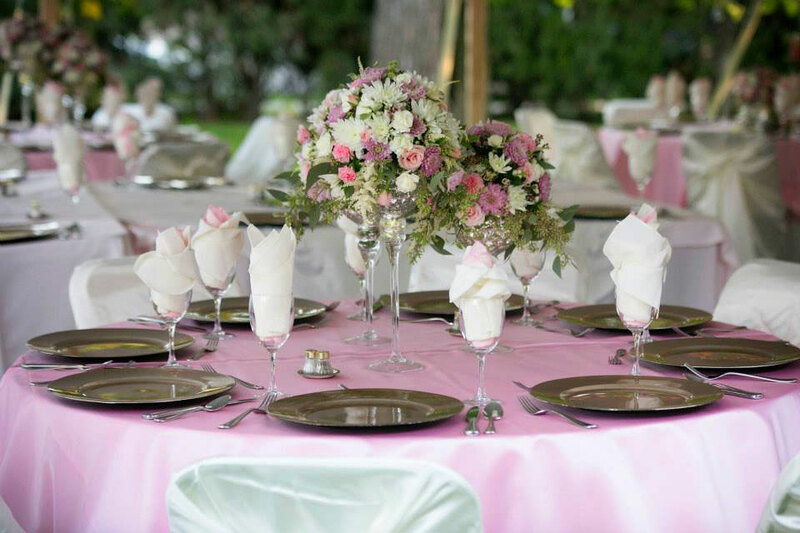 Our Event Manager, Marlene McCave, is available to talk with you about details, develop your personalized quote, and show you the venue options. 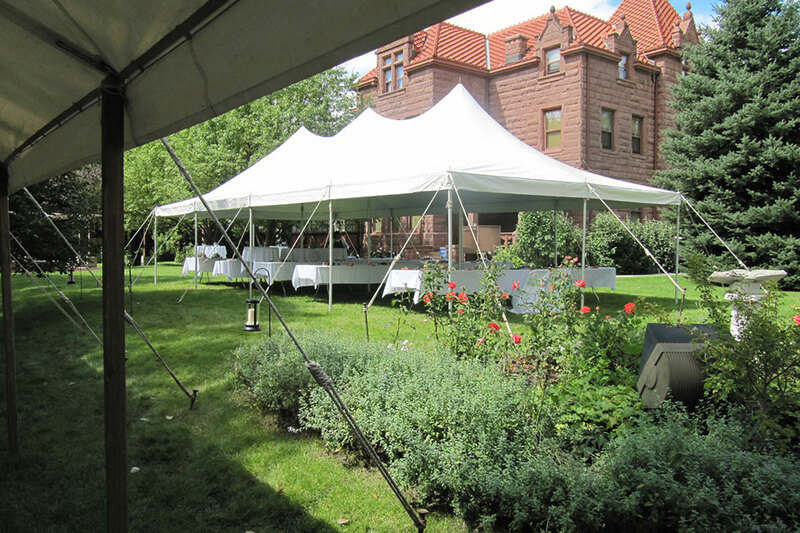 Please call (406) 256-5100 or email events@mossmansion.com to make an appointment. 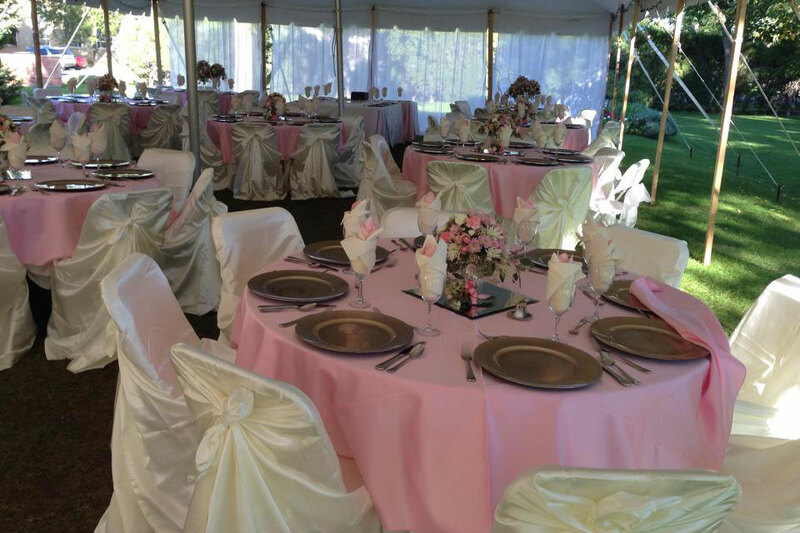 From holiday parties to baby showers and tea parties, the Moss Mansion is a lively place for a variety of private events. 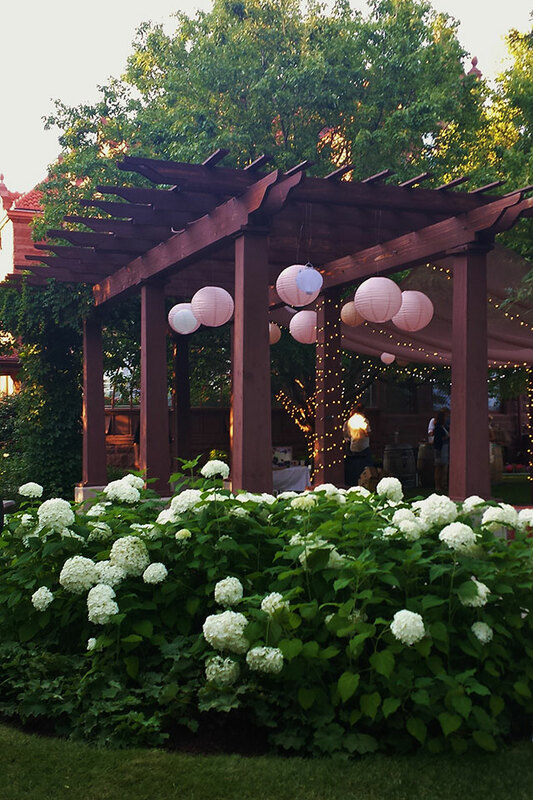 Whether you and your guests want to dine al fresco in our beautiful gardens, sip tea in the conservatory, or host your guests in the cozy dining room modeled after the Oak Room of the Plaza Hotel in New York City, wonderful memories are made at the Moss Mansion. 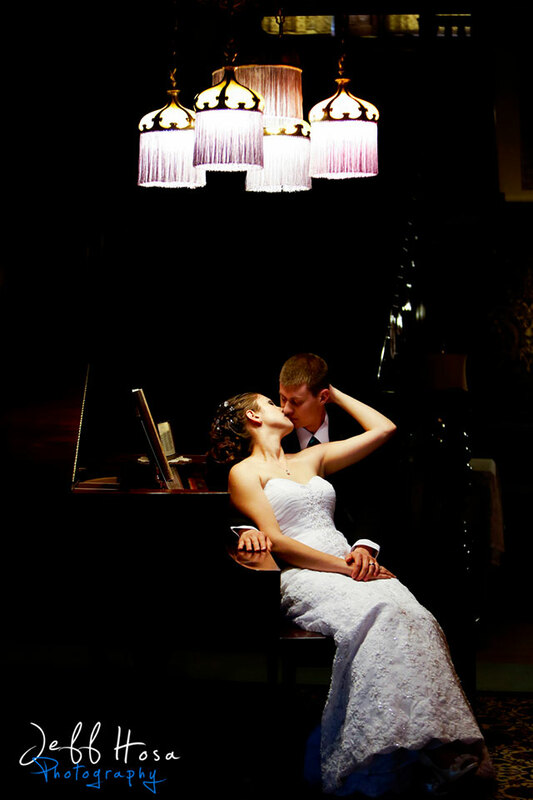 Our Event Manager, Marlene McCave, will walk you through the venue, explore each option with you, and develop a personalized quote at your private consultation. 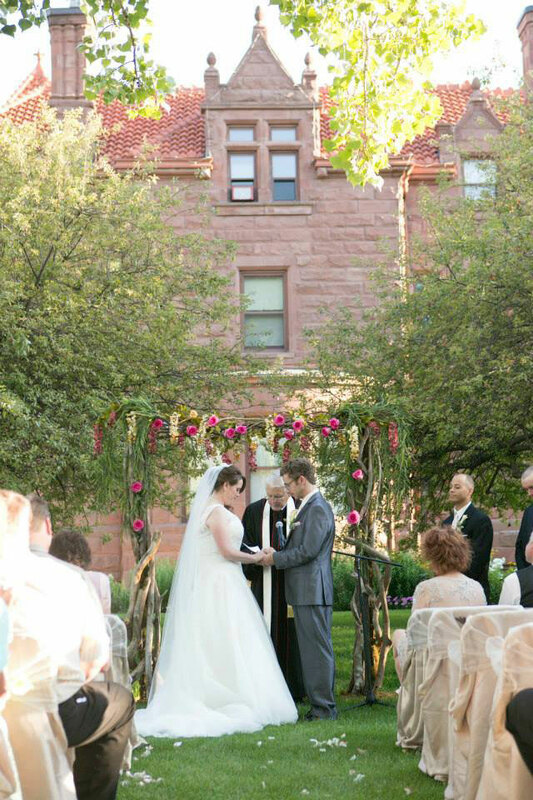 Please call (406) 256-5100 or email events@mossmansion.com to schedule an appointment. The manicured lawns of the Moss are a seasonal favorite for professional and amateur photographers. Senior portraits, baby pictures, wedding parties and special occasion photos capture such special moments and nothing but the best backdrops will do. 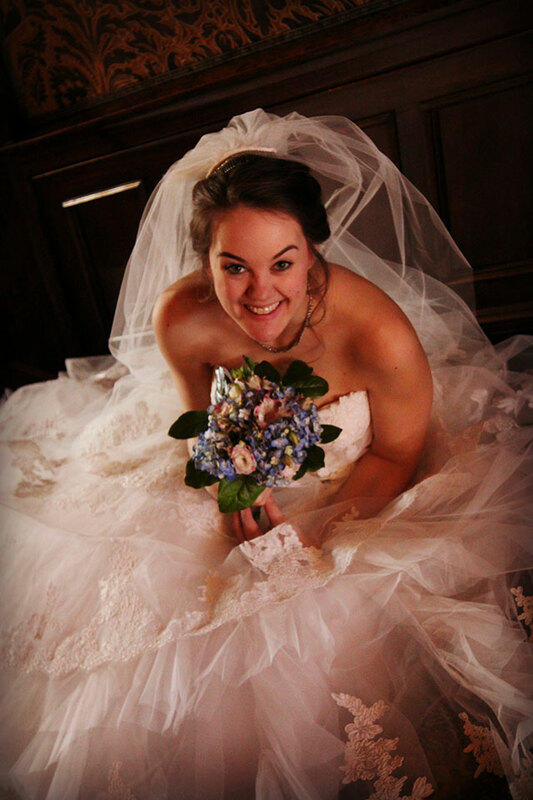 Plan your photo session with our Event Manager to coordinate your date, time and location among the many public and private events happening year-round at the mansion. 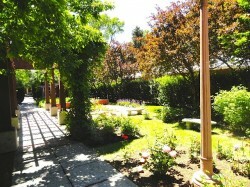 Your fee supports the plantings, maintenance, and irrigation that keeps the grounds in top condition year after year. 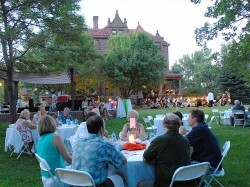 Our Event Manager, Marlene McCave, is happy to share insights into using the grounds to their best potential and to place your session on the event calendar. You may download the Outdoor Photo Fee form to accompany your payment. All scheduled events will be given preferred access to the grounds. 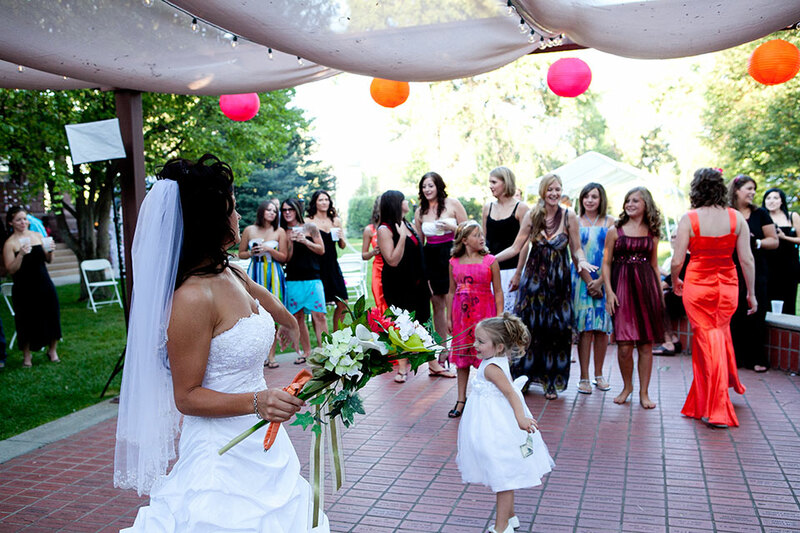 Please call (406) 256-5100 or email events@mossmansion.com for more information about scheduling and fees, or to ask about special arrangements for indoor photo shoots.